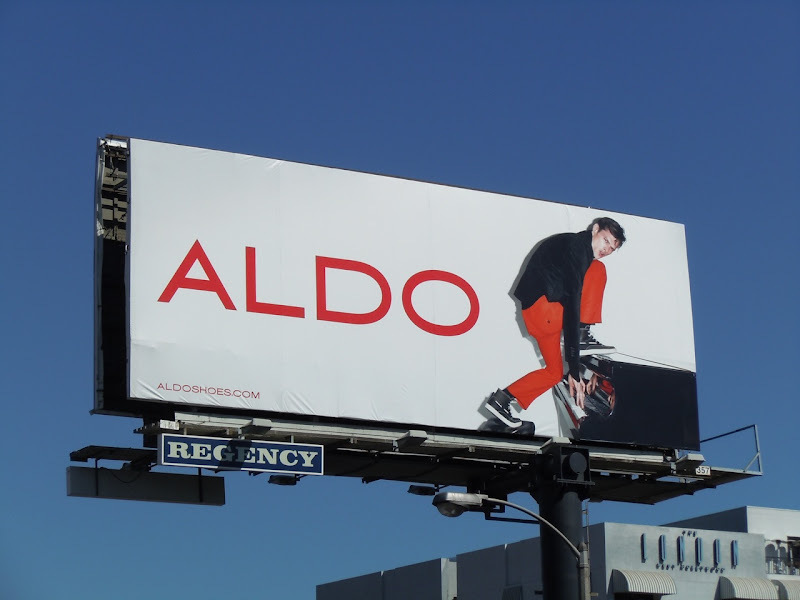 In the past I've described Aldo Shoes previous ad campaigns as drab and dreary, but they really have turned a corner and their new billboards are fun-filled and full of youthful energy. Male model Mat Gordon looks like he's really rocking that piano and Jessica Stam joins him below, buried under a pile of multi-coloured inflatable guitars and toys. These bright and playful billboards were snapped along Sunset Boulevard on September 10, 2010. 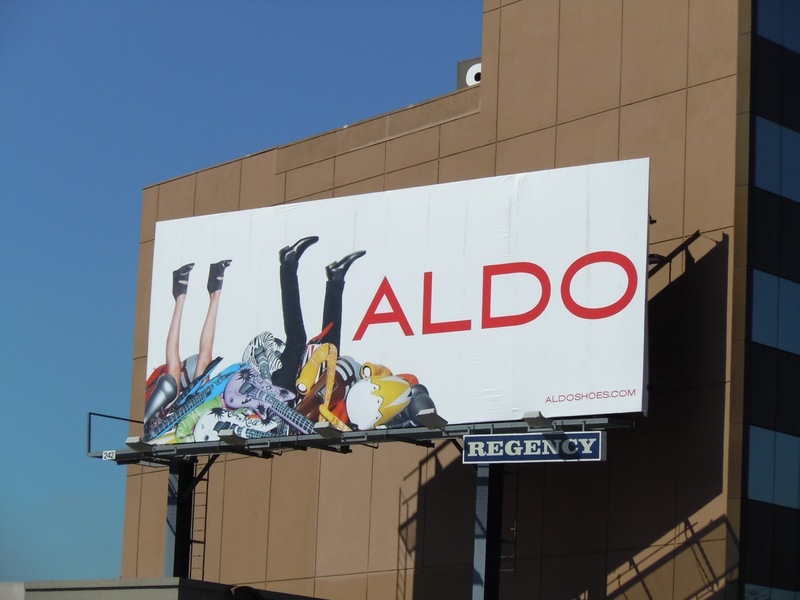 And if you like these creatives, be sure to check out one of Aldo Shoes Spring 2010 billboards.